Dr. Hans Peterson was a founding member of SDWF in 1998 and he was its first Executive Director. Dr. Hans, as he was affectionately known, held the voluntary Executive Director position at SDWF for over 10 years (from 1997 until 2009). Later, he returned to volunteer with SDWF as its Ambassador. Dr. Hans had one dream and that was to provide water treatment solutions to even the smallest community with the poorest quality raw water source. Dr. Hans was also a founding member of the Advanced Aboriginal Water Treatment Team (AAWTT) and, its successor, the Safe Drinking Water Team (SDWT) (www.safedrinkingwaterteam.org), for which he was a Scientific Advisor. Hans worked tirelessly to try to get safe drinking water to rural and First Nations communities. Near the end of his life, Hans always included the following quote in his email signature, “For many of us, clean water is so plentiful and readily available that we rarely, if ever, pause to consider what life would be like without it.” - Marcus Samuelsson. Listen to the CBC Saskatoon Morning Audio for "Remembering remembering safe drinking water pioneer Hans Peterson"
Read the CBC News Article "Dr. Hans Peterson remembered for bringing safe drinking water to thousands"
Read Dr. Hans Peterson's Editorial "My Road Back"
“Dr. 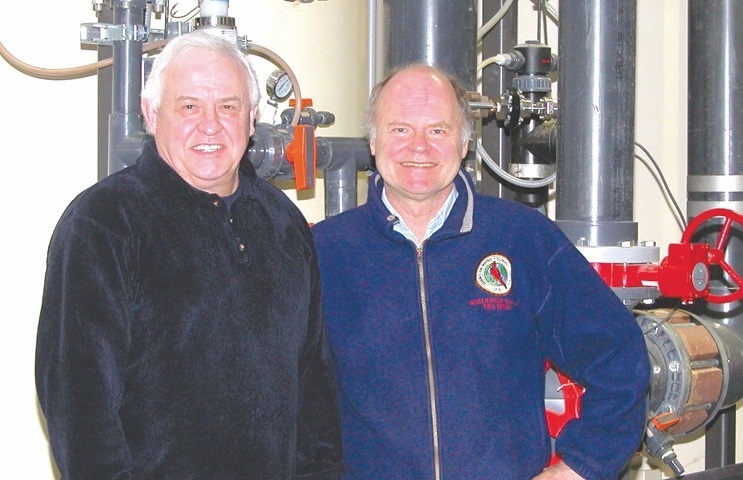 Peterson was a respected colleague, leader, and passionate advocate for safe drinking water across Canada. Dr. Peterson is well known for pioneering the invention of the Integrated Biological Reverse Osmosis Membrane (IBROM) water treatment process at the Yellow Quill First Nation. This unique and innovative process has been implemented in over 21 communities today, providing clean, safe water to many people - some who had not been able to drink from their taps in decades. His dedication, experience, and the relationships he built in these communities are irreplaceable and he will be greatly missed.” - Sapphire Water International Corp.